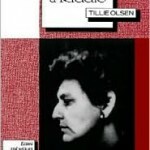 The works of Tillie Olsen have been translated into many languages. 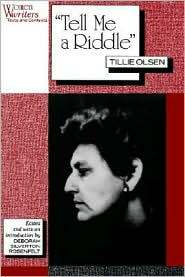 Tell Me a Riddle was awarded the O. Henry Prize in 1961 for best American short story. The story is about a couple who are married for 47 years with 7 children. In their youth, they fled from Russiaand came to U.S.A.with revolutionary ideals, but hard hit by the realities of life, they have become embittered and estranged. The story begins with a quarrel whether they should sell their house and move to an old people’s home. The heroine stubbornly sticks to living in solitude in the family house against good reason, but soon she is found to have terminal cancer. In the final phase of her life, memories stored up in her past come back to haunt her and readers begin to see why she ‘can no longer live between people’. At the end, the couple comes to terms with death and the life they have had together. Click here to read the story and the Chinese translation by Amy, wife of Terence Leung (71). On the worldwide stage every person appears as a book. To read a person is more difficult than to read a written book. I have been seriously reading this “Book of Man” over half of my life, and still haven’t understood it. When there is bright sunshine someone would lend you his umbrella. However, when it rains he would leave stealthily under his umbrella.–When you are reading him, don’t ever complain about him. Since he isn’t willing to get wet and it’s his umbrella after all, how can you question his reluctance to share other people’s problems? It’s better to have your own umbrella.